European yacht charters are growing in popularity for the more experienced charterer - even when leaving aside the most popular Mediterranean counties. Anyone on a yacht charter holiday in the British Isles or Europe will experience great cultural and scenic variety. There are yacht charter operators in England, Scotland, Ireland, Brittany, Holland, Sweden and Norway, to name a few. There are also yacht charter locations for every level of skill, experience and budget from the shallow east coast of England to the rugged highlands of Scotland and the soaring fjords of Norway. Scotland can sometimes be tranquil and sometimes rugged; Britain can be sometimes busy and sometimes deserted; Brittany can be sometimes sunny and sometimes rainy. No matter what you desire you will no-doubt encounter a concentration of history and culture. Europe is one of the world's seven continents. Europe stretches from the westernmost peninsula of Eurasia, to the Ural and Caucasus Mountains in the east where is it 'divided' from Asia. Europe is bordered by the Arctic Ocean and other bodies of water to the north, the Atlantic Ocean to the west, the Mediterranean Sea to the south, and the Caspian Sea, Black Sea and connected waterways to the southeast. 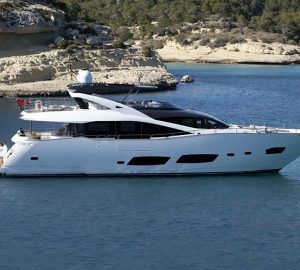 ‘Europe’ therefore does include countries that borders with the Western Mediterranean Sea such as the popular yacht destinations of Spain, France and Italy, however these well developed yachting destinations found in Southern Europe are discussed in more detail under the Western Mediterranean yacht charter section. Northern Europe has all the main types of yacht charters available in the United Kingdom (England, Ireland, Scotland, Wales) Scandinavia (Denmark, Norway and Sweden) Germany and Russia, including motor, sailing, skippered, crewed yachts, catamaran, power boat, sailboat, luxury yachts and motor yachts. There are also more and more superyachts that visit the area, available for charter including explorer yachts or expedition yachts. 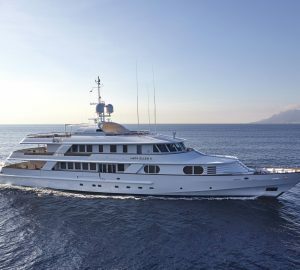 Weather patterns make Northern Europe’s summer charter season shorter than that in the Mediterranean, which is why fewer luxury yachts tend to be permanently based in Northern European waters. Summer, from May to about September, is the main season and the best time to charter a yacht in Europe. Yacht chartering in Scandinavia offers charters the possibility to explore the regions mighty Norwegian fjords, un-crowded serenity and peaceful historic ports. Norway boasts beautiful glaciers, some of which actually tumble down from the mountains to meet the sea. Finland’s famous energetic capital city Helsinki is also on the water and displays an artistically rich artistic cultural center. The magical cruising areas of Sweden reveal a tapestry of glistening lakes neat and vibrant cities, whilst Denmark’s Jutland peninsula is another magical location.Time spent on a luxury yacht charters in Scandinavia are relaxed and slowly paced, as the summer months provide more than 20 hours of sunlight each day so there is simply no reason to rush through the spectacular environment. The peaceful allure of Scandinavia is a stark contrast to the colourful chaos of Mediterranean life: Snow-capped mountains meet with ancient fjords and waterfalls tumble from streams high above. Holiday makers on a luxury yacht charter will uncover nations in beautiful balance with the present and past, where castle ruins meet with cycle paths and hiking trails that connect into the town centres. Sunbathing opportunities are easy to come across, and for those groups full of energy that want to spend all day looking around the museums, galleries, churches and castles during opening hours before trying out all the water toys, then the summer months with 20-hour days will fulfil your desires. The United Kingdom which includes England, Ireland Scotland and Wales is a famous and ancient yachting location. England, a place of sailing tradition has of the world's most important and longest running sailing regattas including the Fastnet and the Around the Island Races. The America’s Cup began here, but there are also new sailing races in and around the Solent, such as the 2012 J Class classic sailing events. An Ireland yacht charter offers numerous marinas, ports and local pubs where you can sample some Guinness share a laugh and hear a song. Admire the Royal Cork Yacht Club, the oldest yacht club in the world, Bantry Bay and Oysterhaven harbor. An area of outstanding natural beauty, Scotland’s west coast embodies intrigue and mystic with mist-shrouded lochs as well as atmospheric port towns. While a yacht charter up the North Wales coastline provides dramatic scenery, wildlife and hidden coves. Anglesey and the North Wales coast is becoming an increasingly popular location for yachting and chartering and offers a variety of unspoiled beaches, sheltered anchorages and marinas within comfortable cruising distance. Most tourists know of London and Shakespeare's birthplace, Stratford-Upon-Avon, but few have cruised along the winding coastline to witness the patchwork hills of East Anglia, or the rugged, rocky shores of Scotland that are home to puffins, seals and whales. Charming villages, grandiose castles and impressive country homes are all within easy reach of the beaches and coves, which are excellent in themselves for water sports and Scuba diving on an adventure holiday. 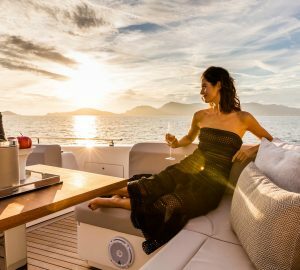 A luxury yacht charter is one of the best ways to explore this island nation, as a journey inland can easily be achieved in a couple of hours. Visit the atmospheric old harbours and Victorian piers, hike along trails through National Parks and discover the different accents and cultures of each region. Devon and Cornwall are a favourite scenic trip for dramatic coastlines containing fossil-lined cliffs and picturesque lighthouses, while the stone circles of Wales have always attracted the inquisitive. The coastal towns of the south have plenty of shopping opportunities, from high end luxury goods to factory outlet bargains. There is also plenty of opportunity to join a concert, go to the theatre or join in with a local festival. Germany and the Baltic Sea has a yachting history dating back to ancient seafarers. 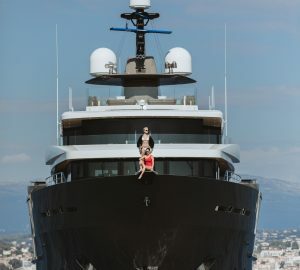 This is contrasted with an area which now, in modern times, is the birth place of some of the world’s most important superyachts by shipyards like Lurssen, Abeking & Rasmussen and Blohm & Voss. Island groups in the Baltic Sea provide a variety of seaside towns and villages to visit, as well as picturesque landscapes far off the beaten track. Russia has also seen some yacht charters over the last few years. St. Petersburg is the cultural capital of Russia and few cities showcase as many art galleries, concert halls, museums and theaters that can compare. Head off the beaten track and discover some of Germany's hidden gems along the north coast in the Baltic Sea. National parks are nestled between scenic villages, where modern buildings blend with centuries of history to create a tranquil setting for guests to take in at their leisure. 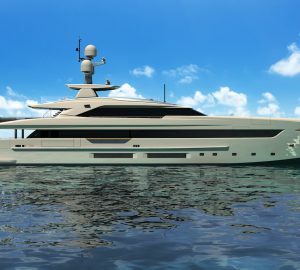 The Baltic Sea is home to some of the most prestigious superyacht shipyards in the world and as you cruise through you might be one of the first to see a brand new luxury yacht undergoing sea trials in preparation for delivery to their new owner. To the east, St Petersburg is one of Russia's most iconic locations and as a culture capital, charter groups have plenty of indoor and outdoor exhibitions to discover to the backdrop of broad canals and brightly coloured spires. This world-class destination offers the awe-inspiring Museum Complex St. Isaac's Cathedral, the Peterhof Grand Palace and the State Hermitage Museum and Winter Palace, which is filled with the works from the Masters. Below is a selection of Europe yacht charters - please contact us here for more. Explore Location Guides for great destinations near EUROPE .